Our new grandbaby will be here any day now. Therefore the Charcoal Bamboo Diaper Inserts and Wet Bag could not have arrived at a better time. The Charcoal Bamboo Diaper Inserts and Wet Bag Package includes 6 of the Pandaroos charcoal bamboo diaper liner inserts and a large gender neutral wet bag for keeping wet diapers, clothes, diaper covers, etc. separate from dry clothes and supplies. If you have ever entertained the idea of using cloth diapers, I highly recommend these inserts. 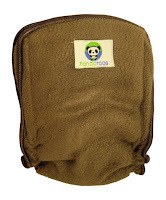 The Charcoal Bamboo fleece material is very soft yet wicks away moisture so that your baby’s skin stays dry. Since Oma is always on the lookout for new ways to be “green” this product is very helpful on my cloth diapering adventure. The absorbency of these inserts make bringing back the use of cloth diapers a more convenient and ecological choice. *** Interesting Fact: If you estimate an average of six diapers a day for each child, the child's first two years will send 4,380 disposable diapers to landfills. 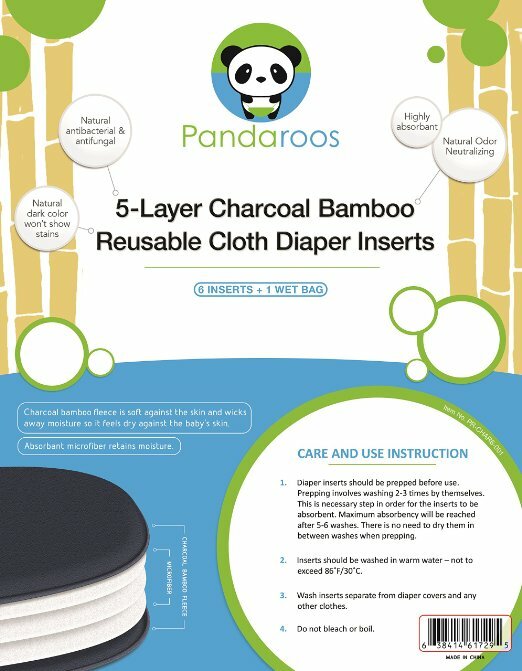 Pandaroo charcoal bamboo diaper inserts gives you and your baby the best of both worlds - no need to choose between softness and dryness. The charcoal bamboo fleece outer layers are soft against your babys skin while wicking moisture away and into the 3 layer microfiber core. Charcoal bamboo is naturally deodorizing, something anyone with a baby in diapers will appreciate. It is also naturally dark in color, hiding unsightly stains. And charcoal bamboo has anti-bacterial properties as well. All of that on the outside of the insert, but what about the inside? 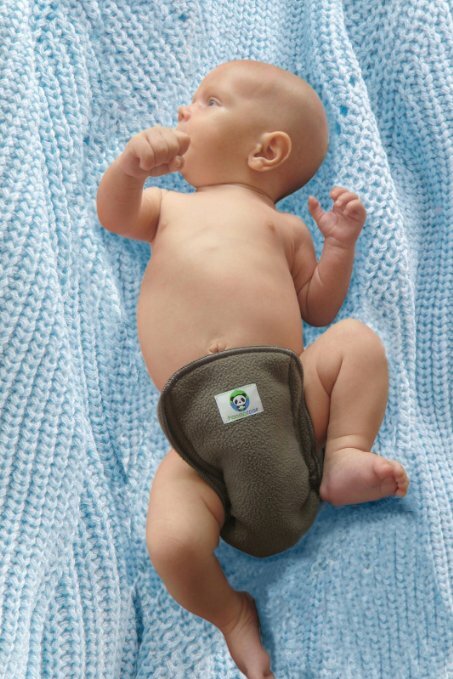 The microfiber core absorbs the moisture and keeps it away from your babys bottom. Face it - babies make messes, and the gussets on these inserts provide another layer of defense to keep the mess from spilling out. Each insert measures 13in x 5.25in (34 cm x 13 cm) and work with All-in-One diapers or along with diaper covers. 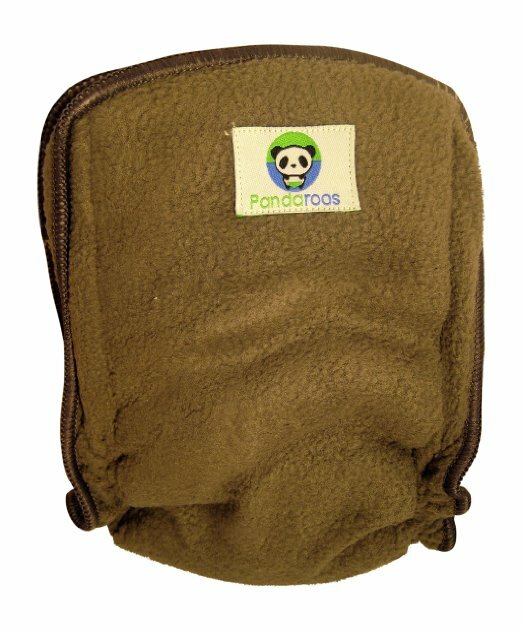 INSERTS AND WET BAG - Package includes 6 of the Pandaroos charcoal bamboo diaper inserts and a large wet bag for keeping wet diapers, clothes, diaper covers, etc. separate from dry clothes and supplies. The absorbency of these inserts make continuing to use cloth diapers a convenient, economical and ecological choice. CARE INSTRUCTIONS - Diaper liner inserts should be prepped before use to maximize their absorbency. To prep the inserts wash 2-3 times by themselves before use. Maximum absorbency will be reached after 5-6 washes. Inserts should be washed in warm water not to exceed 86 degrees F/ 30 degrees C. Wash the the inserts separate from diaper covers or the wet bag. 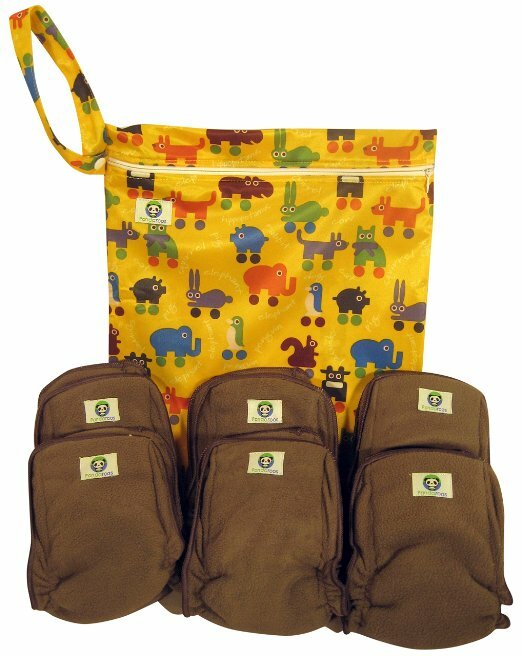 LEAK PROTECTION - The gussets on these inserts provide another layer of defense to keep any mess (and baby make messes!) from spilling out.